The first ever video game which popularly known to all is undoubtedly Super Mario Run. Do you remember the game? When we are in childhood, the most played game is certainly Super Mario run. Now the famous game is coming back to Apple devices iPhone and iPad. It is the first Super Mario Bros and game developed primarily for mobile devices. In the game, the lead person Mario runs over obstacles, escaping from enemies, pulls of smart moves, collects coins and reached to flag pole when we tap once. As per latest reports, Nintendo.Co is all set to release Super Mario Run game worldwide for Apple Inc’s iPhone and iPad on December 15 according to the United States. It is a much-awaited game and also has a high bar for success after this summer’s latest release Pokémon Go. 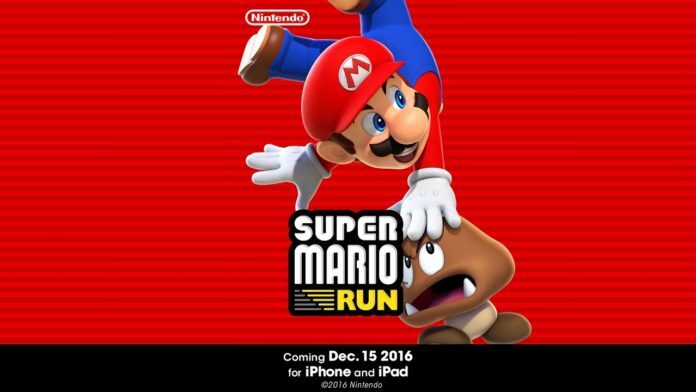 Nintendo, the leading US-based video gaming organization, is going to launch Super Mario Run on December 15th worldwide. Super Mario will available to download from the App store at no cost and players can try features of the game’s three modes for free. After downloading the game, a one-time payment of $9.99 will have to pay to unlock all features.